Published on April 25, 2012 in New Hampshire Resort and News. 0 Comments Tags: fishing, New Hampshire Resort, NH Resort. Practice your cast, pack your bags and bring your cameras. The fish have arrived at Steele Hill Resorts. Here at the hill we are getting ready for another busy season of family fun and stocking the pond is one of our annual rituals to kick things off. Last week Hy-On-A-Hill Trout Farm dropped off 170 of the liveliest 8 to 10 inch rainbow trout they had in stock. The recent school vacation period has been a great opportunity for would-be anglers to test their skills and reel in the big one from our large pond. Sadly Old Goliath, the monster fish that many guests have spied trolling the depths over the years, passed away. While the grounds crew had a moment of silence removing the 7 plus pound remains of our resident “big one”, there are plenty of new fish to take his place. Surely a new king of the deep will move up the ranks to fill his shoes. Either way, it is going to be a great year to catch (and release) some fish up at Steele Hill Resorts. So make sure to bring you fishing pole and get ready for a relaxing day catching some fish under a wide open New Hampshire sky. If you are lucky you may even get a picture of Ralphy the resident snapping turtle. Published on April 5, 2012 in News. 0 Comments Tags: charity, New Hampshire Resort, sanbornton. In keeping with a tradition of supporting the local community, Steele Hill Resorts offered guests a special treat during the recent February School vacation period. By hosting an Usborne Books & More Book Fair, the resort was able to provide vacationers with some great reading material during their break and help raise money for the Sanbornton public library. Carol Varney, Usborne Books & More local representative, organized and ran the book fair one day during each of the two school vacation weeks at no charge to the Resort. “When a school, business or organization hosts an Usborne Books & More book fair, they earn up to 50% of the total sales back in free Usborne children’s books. Businesses can use this as an opportunity to help non-profits as the Resort has done here with the library,” explained Varney. This was the first time an event of this type was held at the Resort and, according to Varney, the Resort’s guests and staff alike responded very positively to it and especially appreciated the fact that half of their purchase was coming back to the local library in free books. Cab Vinton, Sanbornton Public Library’s Director, was perhaps the happiest person, though, when he received the news of the successful book fair and was asked to submit a list of over 30 book titles of his choice. The new additions are slated to add to the growing children’s section at the town library. “Sanbornton has been a great place to grow up in and do business in over the years. Having a chance to give back to the community is a truly rewarding experience. 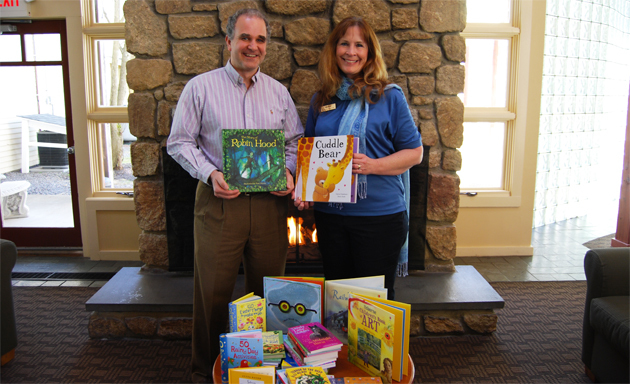 I hope the new books will help put a smile on the faces of the kids at Sanbornton Central,” stated Justin Cutillo, Steele Hill Resort’s Director of E-Marketing. Published on January 31, 2012 in News. 0 Comments Tags: New Hampshire Resort, open house, sanbornton. This past weekend, Steele Hill Resorts welcomed the Town of Sanbornton to its Annual Open House. Steele Hill President Bill Cutillo was on hand to greet the town residents with a warm friendly smile. 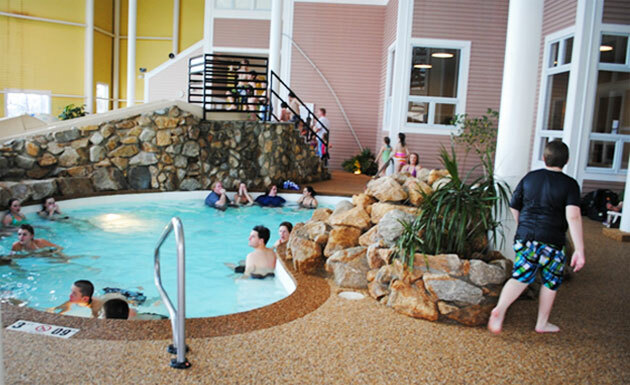 “We open the resort amenities to all Sanbornton residents each year. This is always a great opportunity for everyone to get together in a sunny warm atmosphere and shake off the mid-winter blues. Parents, children and grandparents come up to catch up with neighbors and friends while enjoying the pools, food and entertainment. It is Steele Hill Resorts way of thanking the town of Sanbornton for its support over the many decades that we have been a part of this wonderful community,” Says Cutillo. The resort has been hosting the event for years and it’s always a great turnout! Watching the local families visit “The Hill” for some Tropical fun is just such a great sight to see! This year’s event included free appetizers and entertainment. Local residents relaxed by lounging in the large roman spa while the kids hit the slide The resort’s new Xbox Kinect gaming stations saw plenty of action as residents enjoyed some neighborly competition. Steele Hill will continue the Open House tradition again next year, opening the doors to the Sanbornton community so they can enjoy a great carefree afternoon with their neighbors. Published on January 16, 2012 in News. 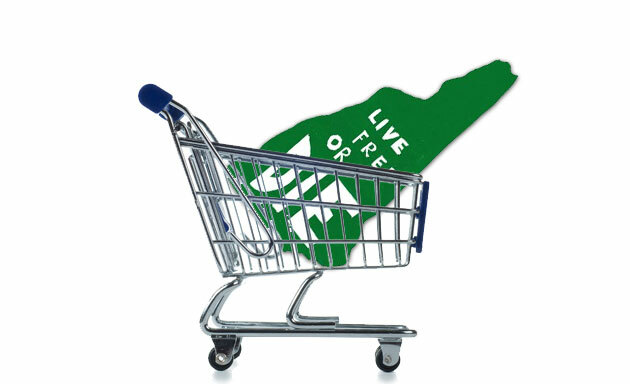 0 Comments Tags: buy local, economy, New Hampshire Resort. Here at Steele Hill Resorts we are doing our part to support the local economy. As a company, we have made a concerted effort to keep our purchasing in New Hampshire and the greater New England area. “It has been difficult to watch local, hardworking people struggle with job loss. Our management team decided that purchasing services and products from nearby vendors would make a small contribution towards getting the local economy back on its feet,” says Rob Robillard, Director of Operations at Steele Hill. As part of our purchasing process, we have made regional proximity a priority for vendor selection. From flat screen TVs to Flooring, we look to the local market first. Phil TV, a small electronics dealer, recently won the contract to provide new flat screen televisions to the resort. Based out of a small office in Franklin, New Hampshire, Phil TV beat out the likes of Walmart to win the contract. “While a similar TV set may have been slightly less expensive from a big store, Phil TV worked their prices down and demonstrated a commitment to long term service that was hard to pass up,” points our Mr. Robillard. The same purchasing strategy helped us select the vendor when we updated the flooring in the reception hall. Instead of purchasing new materials from a big box store, we paid Konopka Flooring in Pittsfield, New Hampshire to refinish all of the existing hardwoods. “Larry Konopka is a long time member at Steele Hill and he is also a highly respected craftsman at refinishing hardwoods. Why go through a costly renovation project with imported materials, when we can work with a local business and achieve better results?” asks Robillard. As a company, we apply the same philosophies when purchasing furniture during regular renovation cycles. Steele Hill’s primary furnishings supplier is Mountain Resort Interiors based out of Rutland, Vermont. “When we purchase furniture, we look to buy local and made in America,” says CEO William Cutillo. While this strategy does not always result in the best price, many of the products we buy stand up better in a commercial application and save the company money by avoiding unnecessary replacement costs.